: Board Collector: Byrning Spears- Al Bryne semi gun. 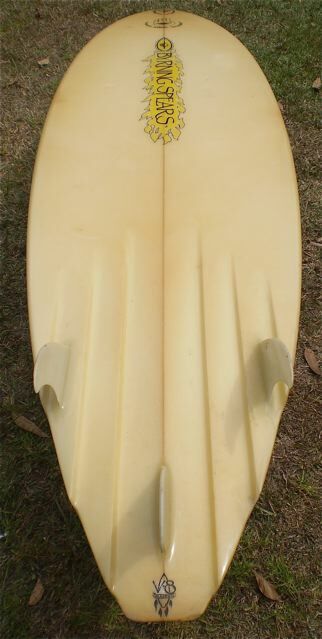 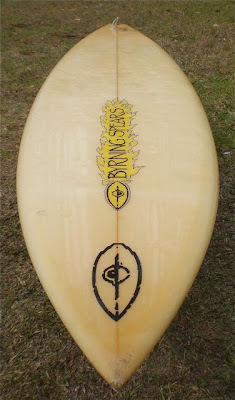 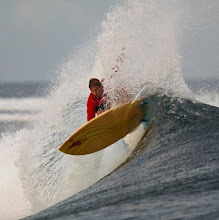 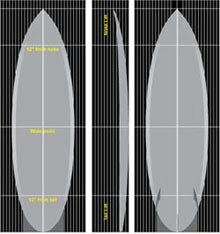 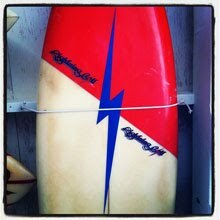 6'8" Byrning Spears, Al Bryne shaped channel bottom thruster. 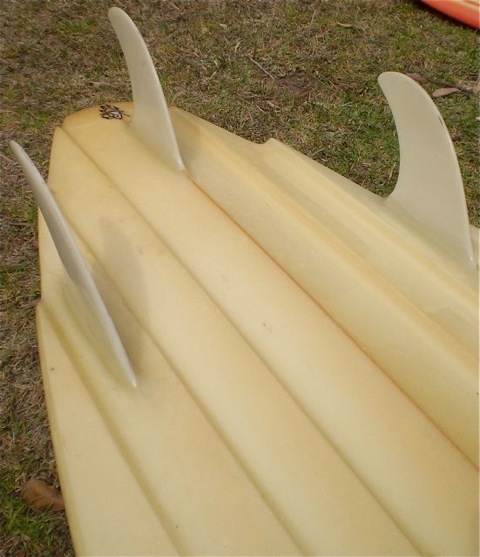 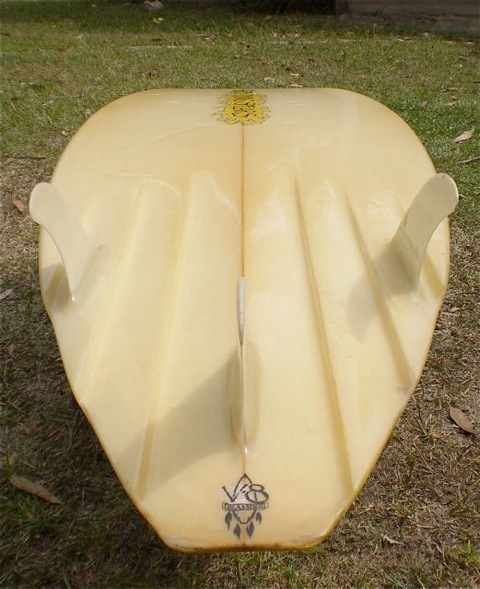 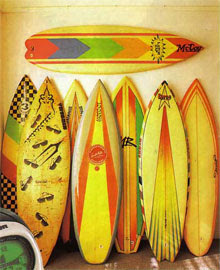 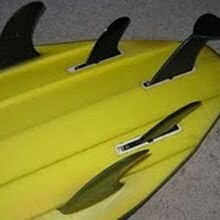 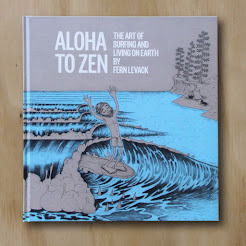 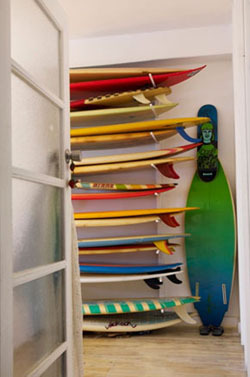 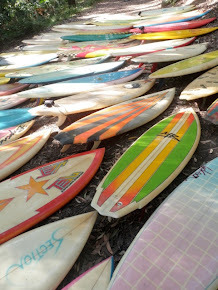 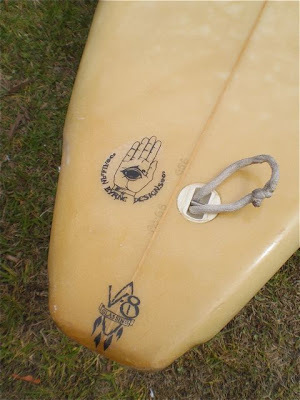 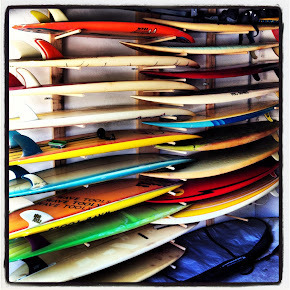 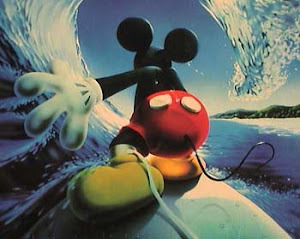 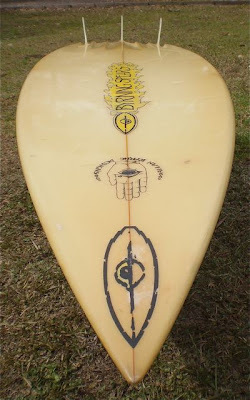 Nick Carroll claimed that this was a must have board for every serious surfer to ride waves like G-Land and Pipe. 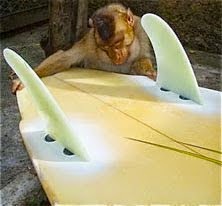 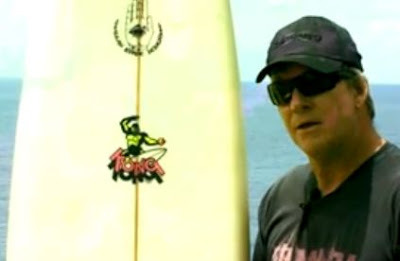 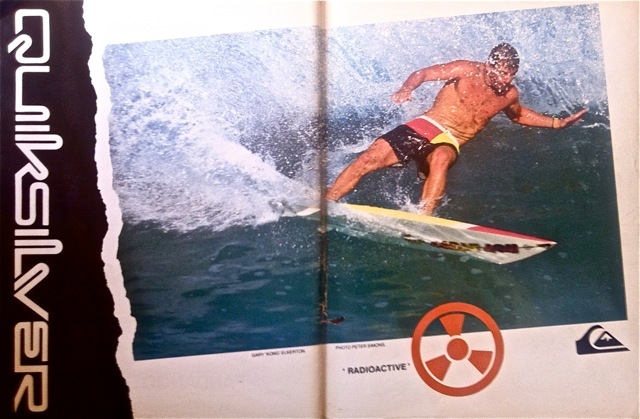 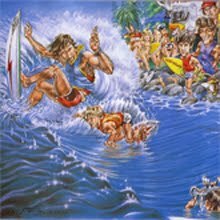 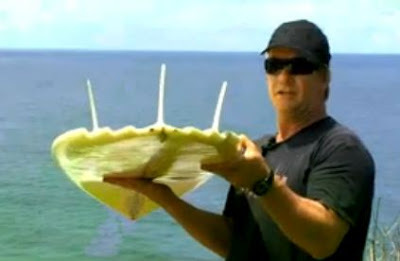 He says that the added control that the extreme channels give means you can ride a board half a foot shorter than a normal gun surfboard. 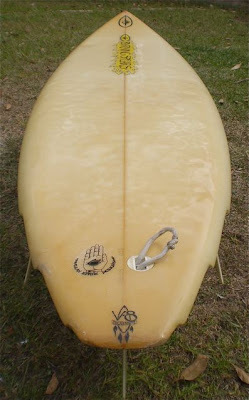 The shorter length making the board a lot more maneuverable in the pocket. Gary Elkerton with his 1985 7'4" Al Bryne shaped channel bottom thruster that he used to win the 1987 Sunset Beach Pro and the Pipe Masters. 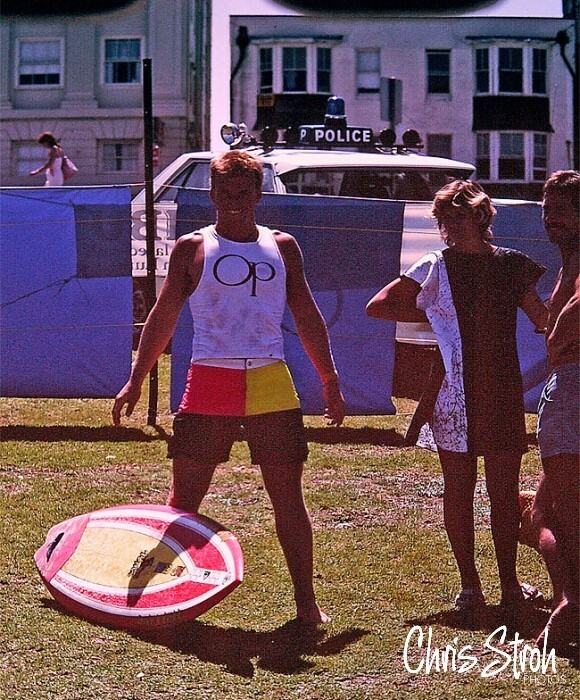 Kong with Al Bryne shaped Hot Stuff at Op Pro Bondi. 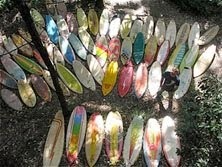 AB and friend on the far right of the pic. 1984 New South Wales Police Ford Falcon sedan in rear. 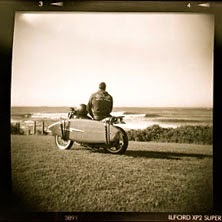 Me, somewhere on the beach.